While some New Zealand homes had domestic refrigerators in the 1910s, refrigerator ownership significantly increased after the Second World War. On the left is a refrigerator dating from the mid-1930s. It stands on four legs and has a small icebox within the refrigerator at the top. 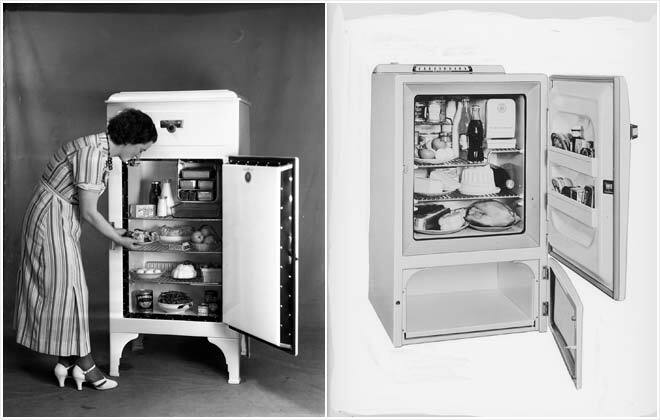 The mid-1960s Electrolux refrigerator has more features – shelves in the door, a separate freezer compartment and an additional icebox at the top.